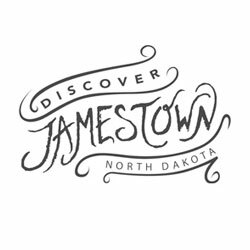 Once you visit Jamestown, ND you'll see that it is a place of clean air, safe streets and short commutes. It is a place that combines North Dakota hospitality with small town spirit. But what really sets Jamestown apart from the rest is how far we go to make you comfortable living here. The quality of life in Jamestown is more than a score or a rating, it's the combination of available services like critical health care, quality primary and secondary education, recreational opportunities and community vitality. It is an exciting time for us as we welcome new neighbors and showcase the new businesses that join our strong existing business community. In 2012, twenty-two businesses gave us a reason to celebrate by opening their doors, offering new services or breaking ground for a business yet to come. You're invited to own and operate your business and enjoy job stability in the same neighborhood as your dream house. It's a place to enjoy quiet neighborhood living and watch your children grow. That's why we live here, and why you should too.